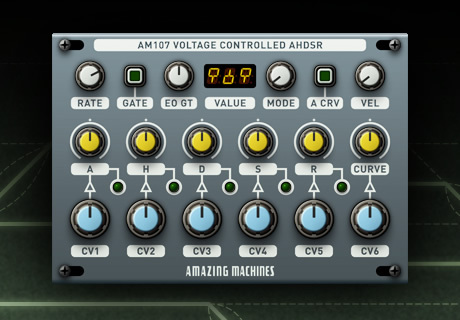 A 5 Stage Envelope Generator with Selectable Rate that goes up to a 100 seconds per Stage. 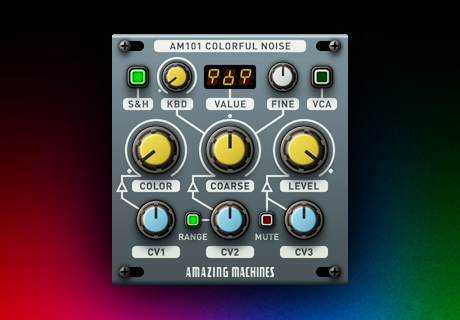 Sporting Analog and Digital Triggering Modes, Cycle Mode, Continuously Variable Envelope Curves and much more, AM107 makes the creation of sophisticated Envelope Curves a breeze. 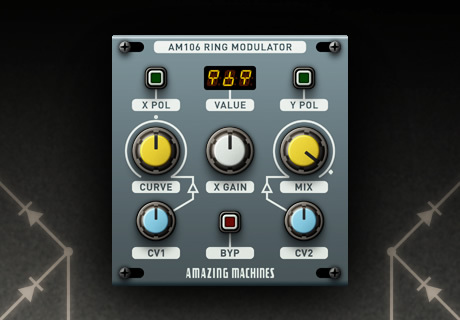 An advanced Ring Modulator, with features such as Dry / Wet Mix Control, Polarity Flip Switches and Continuously Variable X Axis Curves, AM106 takes Audio and CV Mangling to a whole new level. A highly flexible Quad VCA. 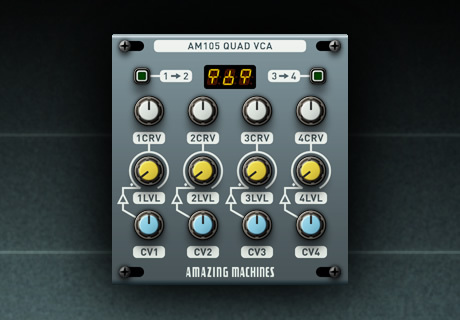 Sporting Continuously Variable VCA Curves that range from Exponential to Logarithmic and anything in between, AM105 can Link VCA 1 to VCA 2 and VCA 3 to VCA 4, allowing for complex Amplitude Modulation Paths such as Tremolo Effects, Overall Volume Control and Effect Sends. 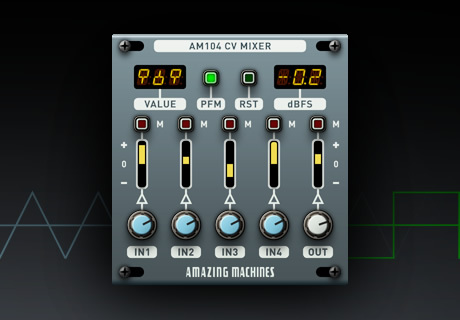 An 8 Channel CV Mixer, optimized for use in conjunction with a DC Coupled Audio Interface to convert Reaktor Blocks Signals into Analog Control Voltages, allowing the interaction of Reaktor Blocks Modules with Hardware Synths and Modular Systems. 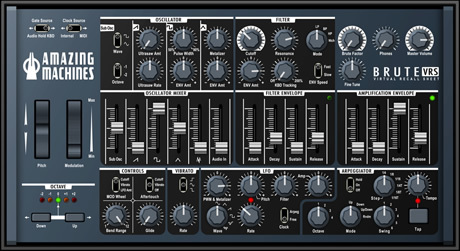 A Multi-function Effects Processor Ensemble for use with Native Instruments’ Reaktor. 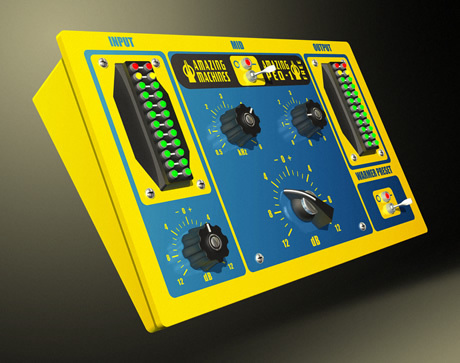 With focus on Wave Folding Effects, WRECKER also includes a Pulse Modulator, a State Variable Filter, a Pan Modulator and an Oscilloscope. 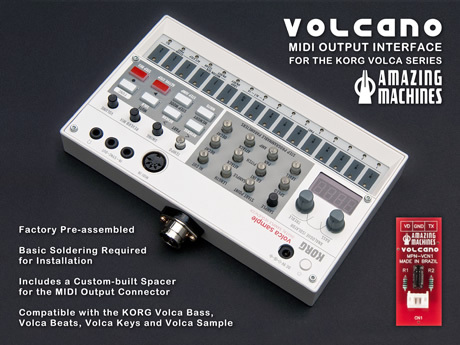 We are proud to announce that our Volcano Kit is fully compatible with the KORG Volca Sample. Note: The current Volca Sample Firmware, version 1.3, doesn't allow the Volca Sample to transmit MIDI Continuous Controller Data from it's Knobs, this functionality may be added in a further Update. 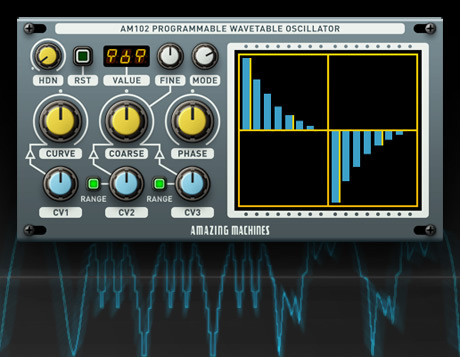 A straightforward Overall Tone Shaping tool, capable of drastically change an audio source with its 1 Band Mid-Range Equalizer and its Preset Warmer. 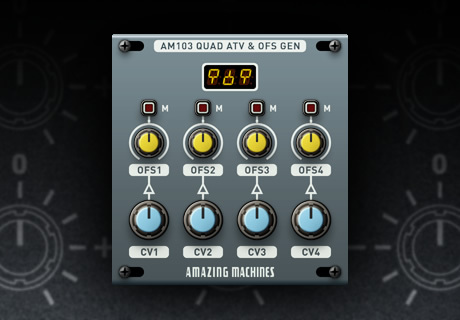 The Amazing PEQ-1 FREE is Free for anyone to download! A Virtual Recall Sheet for the Arturia MINIBRUTE, which allows users to digitally store patches made on the Hardware Synth. Although the BRUTE VRS does not generate any sound on it’s own, special attention to detail has been taken to achieve visual feedback that is as close as possible to the hardware instrument, including the LEDs for Octave Selection, Envelopes, LFO and Arpeggiator Tempo. 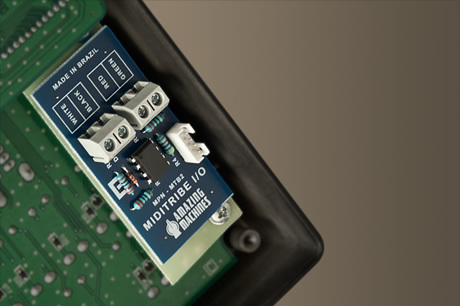 The Pitch and Mod Wheels respond to incoming MIDI Data from the MINIBRUTE, while the Envelopes’ LEDs blink, in a similar fashion to the hardware, when notes are played and depending on how the Envelopes are set. The Arpeggiator Tempo can be Synced to a DAW’s Tempo using the Clock Source Switch. This level of detail may sound trivial at first, for a simple Virtual Recall Sheet, but it’s essential to allow the end user to store and load patches fast and easy. A bundle of 3 unique Reaktor Ensembles that will change the way you see Waveforms in your DAW. 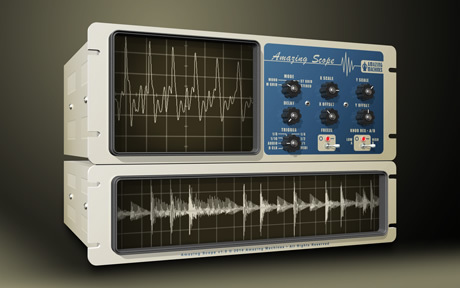 With unparalleled features such as Freezed Waveform Navigation, Tempo Synced Triggering and MIDI Triggering, the Amazing Scope Suite brings the Oscilloscope to your DAW, an Essential Tool that has been available in Professional Studios for more than 40 years. Compatible with the KORG Volca Bass, Volca Beats and Volca Keys. Basic soldering skills are required for installation, as simple as soldering 3 wires to the main PCB of your KORG Volca, as shown in the picture. MIDI has priority over CV, when a MIDI Note On message is received any incoming CV signal will be ignored. You still can use the NastyMono with any other Analog Synth that features a VCF Input and Multiple Audio Outputs or a Separate Headphones Output. However due to the nature of the KORG Mono Series the 1/4” Auxiliary Input and the 1/4” Audio Output Signals on the NastyMono rely on the RING contacts found on the 3.5mm I/O cables, there for the 1/4” Auxiliary Input won’t work if your Synth features a Mono VCF Input, the same goes for the 1/4” Audio Output, if the NastyMono is being feed by a Mono Signal the 1/4” Audio Output won’t work. Despite the fact that the 1/4” connectors won’t work depending on your specific Analog Synth, the Feedback Knob will still work, giving you the desired Distortion Effect, a good example is the Moog Minitaur which will access all the NastyMono’s functionality except for the 1/4” Auxiliary Input. Netherlands-based developer Fabrizio Poce releases MTribe, an editor and control surface for the Korg Monotribe. Our MIDITRIBE I/O Interface was used by Fabrizio during the development, so the MTribe editor is 100% optimized for the MIDITRIBE I/O. MTribe is available as standalone app for Mac and Windows as well as an Ableton Live / Max for Live device. Our upcoming product the NastyMono has featured a guest appearance on the lastest Moog Minitaur Video Review by Nick Batt at Sonic State. 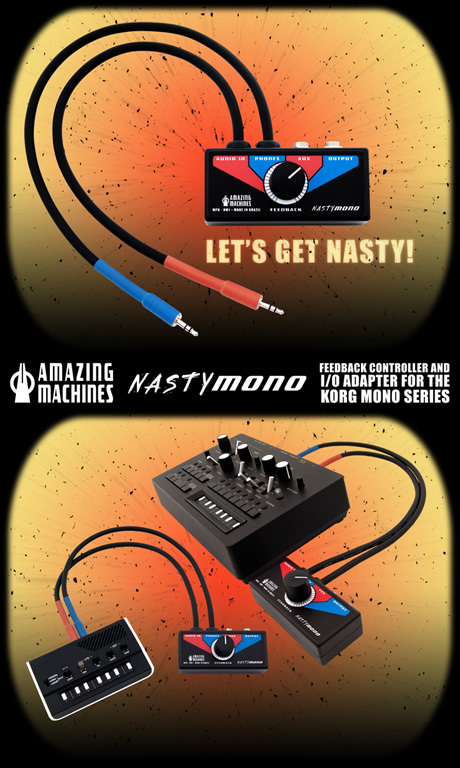 The NastyMono is a Hybrid Feedback Controller and I/O Adapter for both the KORG MONOTRIBE and MONOTRON Series, also as shown at 6:00, it can be used with any Analog Synth that features an Audio Input and a Headphones Output for adding punch, gritty or extreme distortion to the Signal Path. 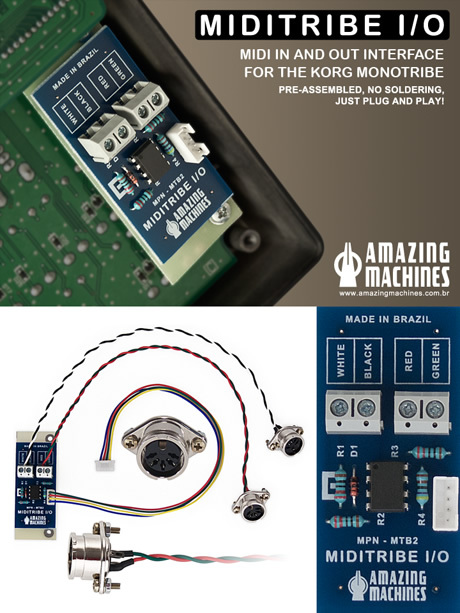 It features a fixed passive LPF to clean up the Feedback Path, a 1/4" Aux Input and an Extra 1/4" Audio Output. Selling price will be $59.00 USD, it is expected to be available by April 2012. Our friends at Sonic State did a very nice Video Review of the new MIDITRIBE I/O, our Pre-assembled MIDI IN and OUT Mod Kit for the KORG MONOTRIBE. 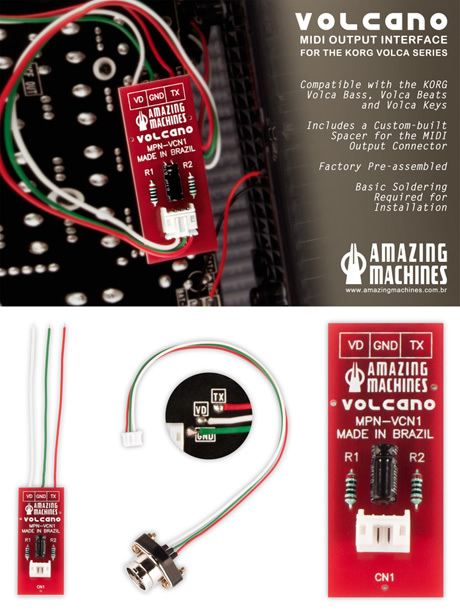 Pre-assembled, no soldering, just plug and play! MIDITRIBE I/O Pre-Order starts Sat, Feb 18.